In Hong Kong, nearly 10,000 migrants wait for asylum. Many of them are children. For their parents, asylum means the ability to work legally and support themselves beyond the basic sustenance of government aid. Tristan Ilham, the one-year-old son of Nani Nuri, clings to his mother as she cooks fish for dinner inside of her friend’s subsidized apartment in Yuen Long, Hong Kong. But only 55 applicants – or 0.5 percent – were granted status since 2009, which is far below the world’s average recognition rate of 27 percent, according to the UN High Commissioner for Refugees. Nani Nuri, 37, lives in a subsidized apartment with her one-year-old son but doesn’t have a kitchen in her own home. She visits her friends – also migrants living in subsidized housing – to cook. 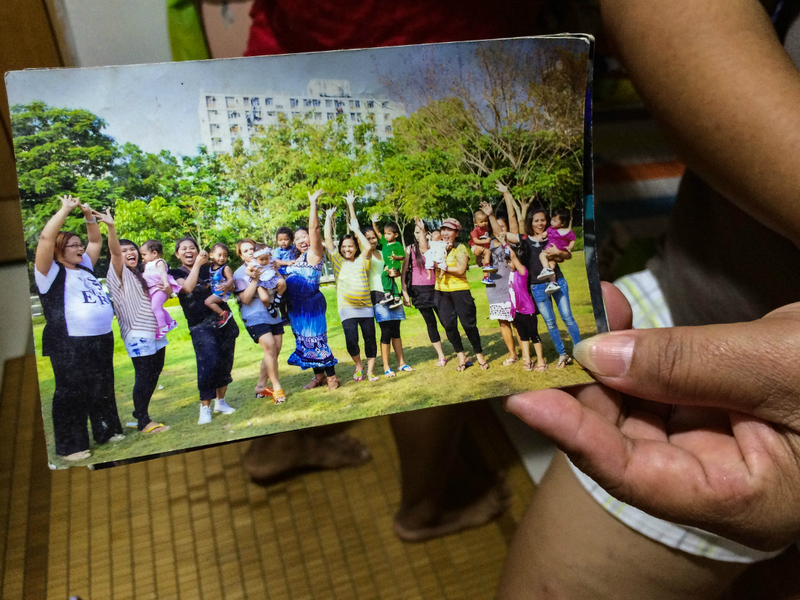 Three families await status from the crowded, diverse neighborhoods of Yuen Long and Mong Kok, known for their large and close-knit asylum-seeking population. 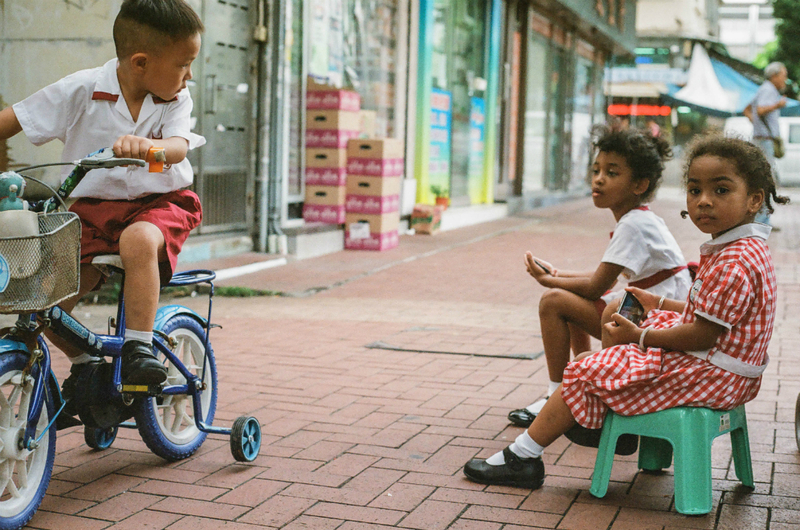 After school, many of the mothers pick their children up and gather outside of an Indonesian grocery store in Yuen Long – a makeshift park where they can supervise their children as they play. 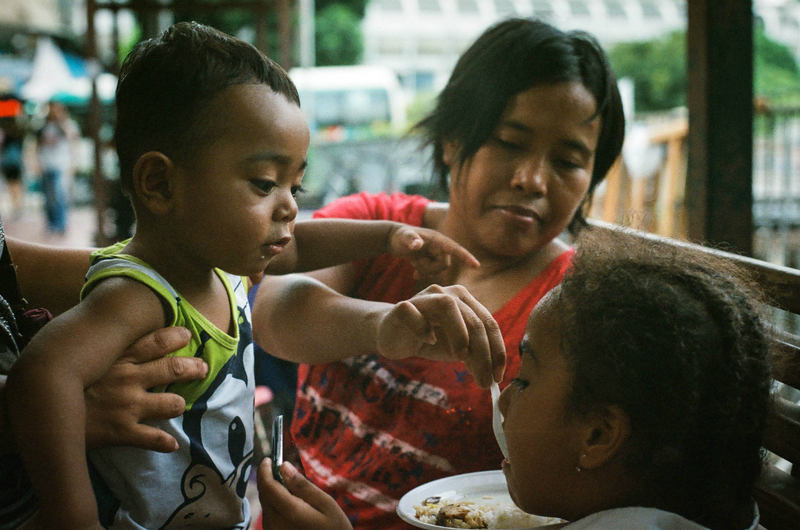 Outside of the Indonesian grocery store, Nani Nuri feeds chicken and rice to her friend’s 4-year-old daughter, Jennifer, and to her own son, one-year-old Tristan. Community parenting is common in this migrant community as parents await asylum status, which would allow them to work legally. With little hope in a city where most residents are descendants of asylum-seekers themselves, the sons and daughters of Yuen Long face an even tougher road ahead. 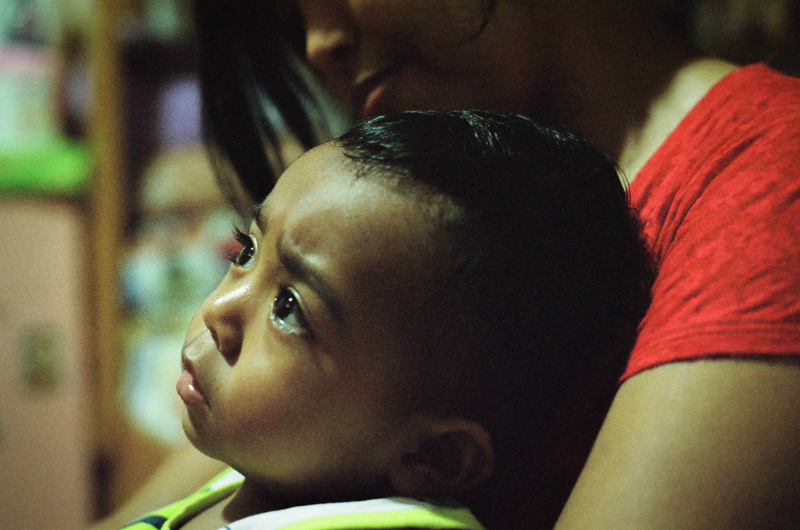 Nani Nuri’s son, Tristan, passes time with his mother by watching television inside their friend’s apartment. 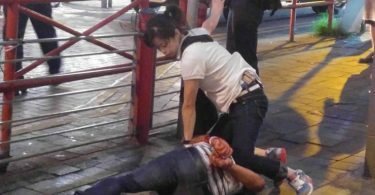 Originally from Indonesia, Nuri came to Hong Kong years ago and is still awaiting asylum status. 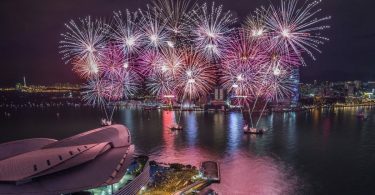 Beyond language barriers and racial tensions, their futures are jeopardized by the long wait for recognition by the Hong Kong government, which will ultimately dictate whether or not they can work once they pass through more than a decade of public schooling. Nuri and 46-year-old Yusna, both originally from Indonesia, often spend their time together as Jennifer – Yusna’s 4-year-old daughter – attends school. 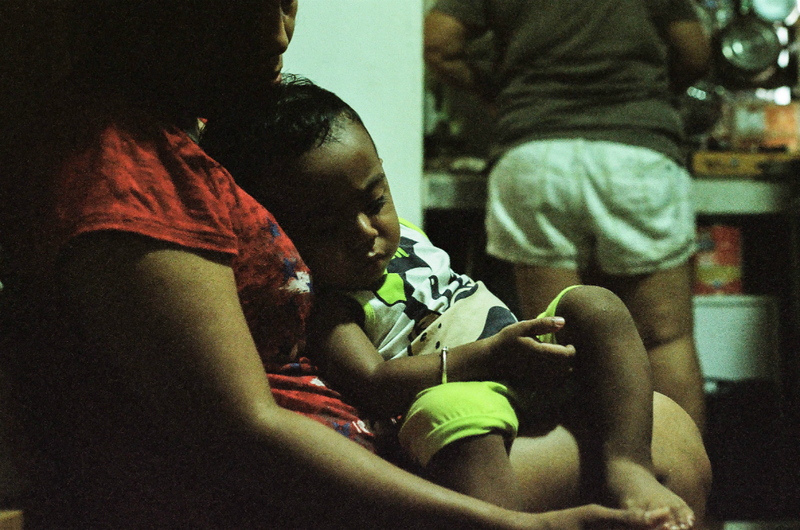 During the day, the two mothers help take care of Tristan, Nuri’s son, who is sleeping in his mother’s lap. But even though she’s been waiting for status for more than 16 years, she still holds out hope that her son will succeed. “He’s smart and I know he can do it,” she said. 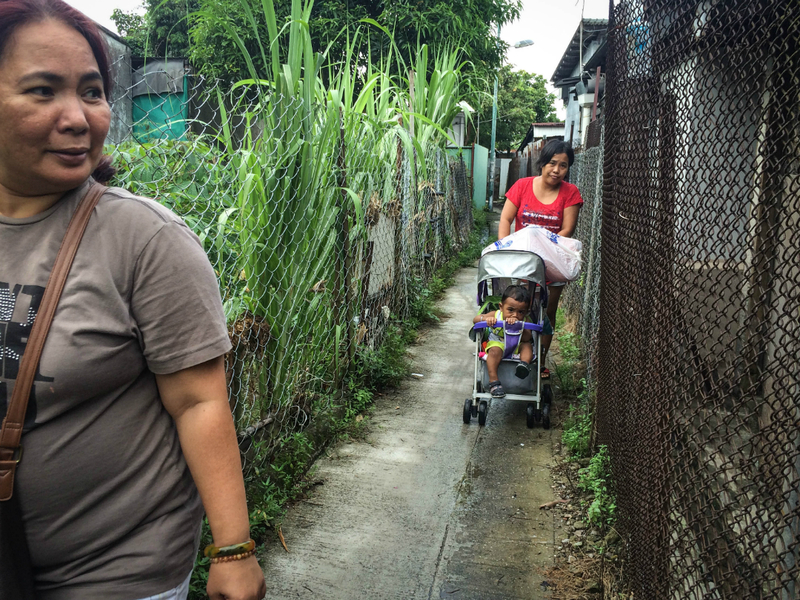 Yusna, a 46-year-old single mother from Indonesia, walks down the alleyway near her subsidized apartment and is on the way to picking up her 4-year-old daughter, Jennifer. Nani Nuri goes with Yusna, though her only son is already with her. 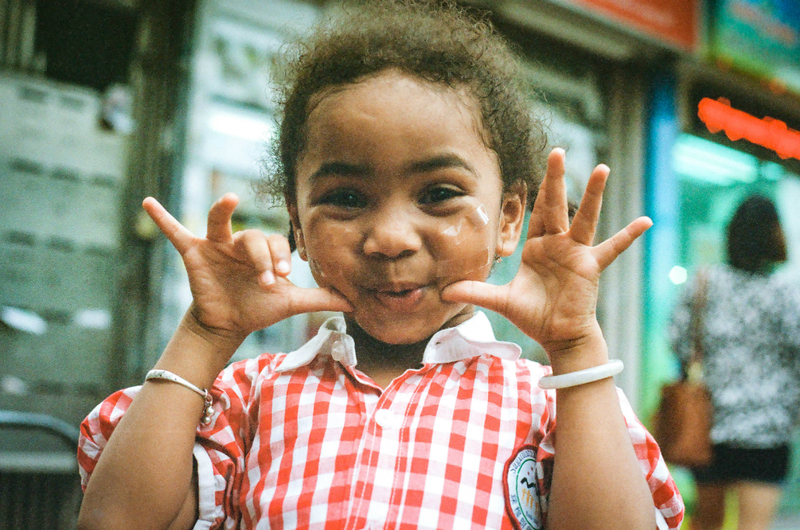 4-year-old Jennifer, a mixed-race Indonesian and Nigerian migrant, sits outside of an Indonesian grocery store after school and plays with other children. 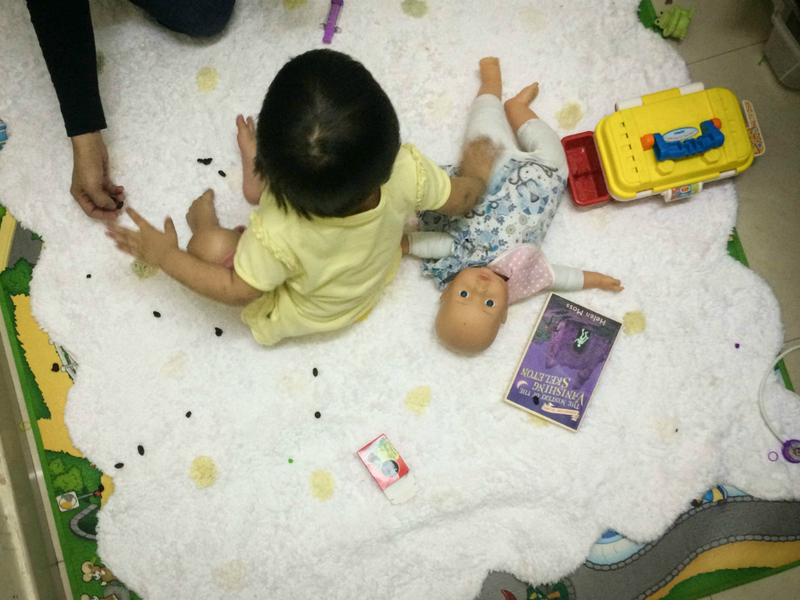 She and her mother are awaiting asylum in Hong Kong. “I’m a cat,” says 4-year-old Jennifer, as she puts tape ‘whiskers’ on her face outside of an Indonesian grocery store in Yuen Long, Hong Kong, where many migrant mothers and their children socialize. Jennifer speaks English, Cantonese and Indonesian. Yusna shows a photo of herself and other asylum seekers. They organized a day in the park together. 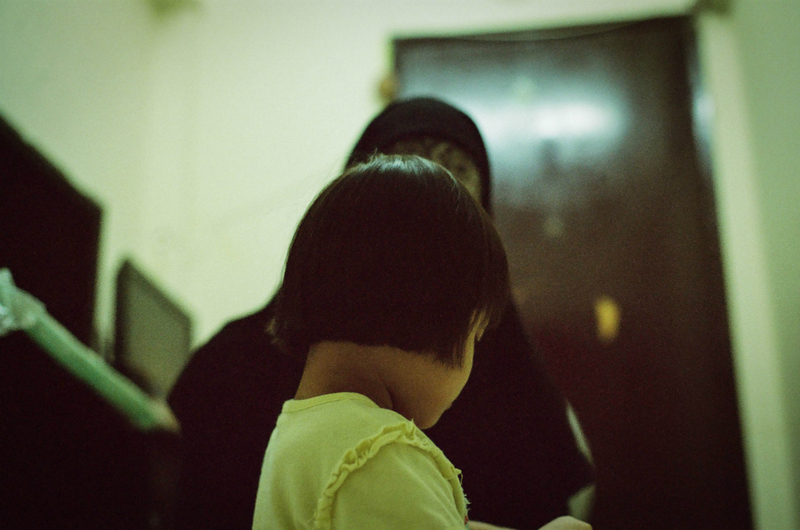 Saira, a 45-year-old mother from the Philippines married to a Pakistani man, came to Hong Kong with their two children in 2000 because her uncle, a high-ranking military official, threatened to kill her husband for being Muslim. All three live in subsidized housing in Mong Kok, another neighborhood known for its asylum-seeking community, and requested that their names be changed and that their be faces hidden for this photo series because of threats related to their interracial marriage. 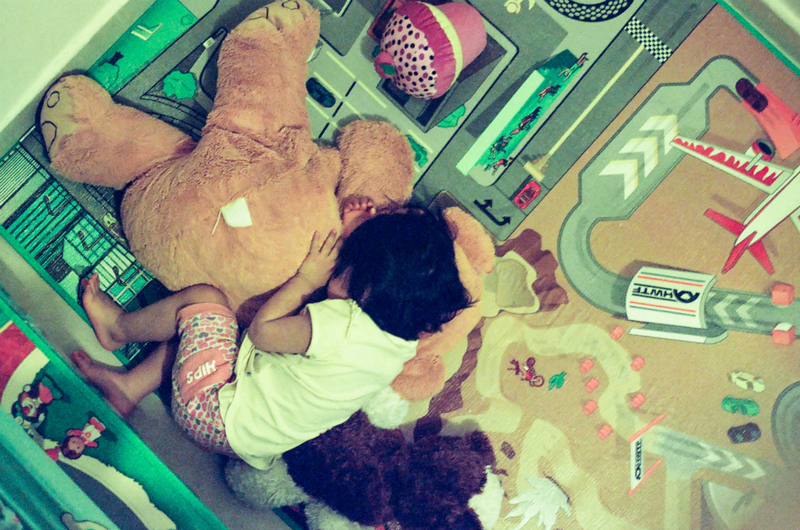 Mary Ann, Saira’s 2-year-old daughter, falls asleep on the carpet after playing. 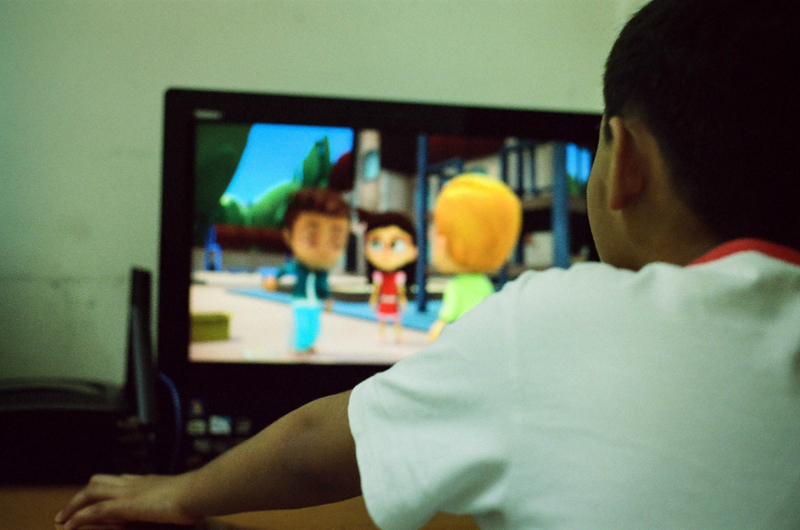 Saira’s son, 9-year-old Oscar, watches English-language cartoons all day from their subsidized apartment in Mong Kok, Hong Kong. Oscar speaks both Cantonese and English. 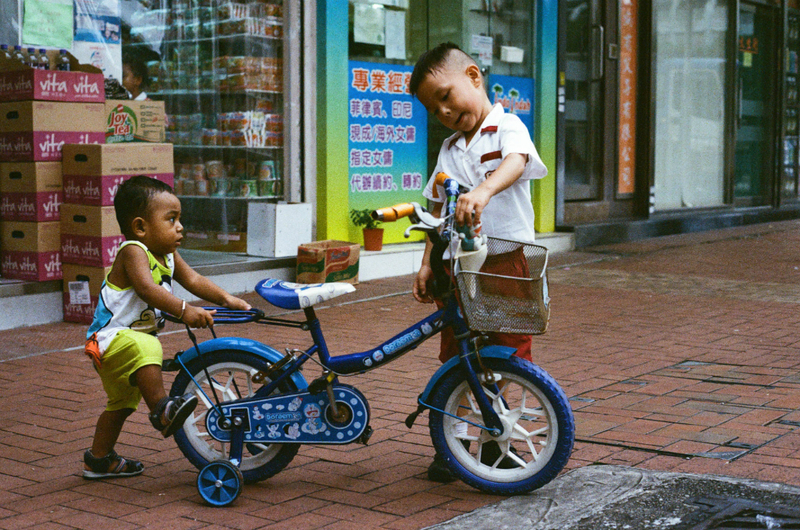 Alastair Pike is a half Chinese and half American photojournalist born in Hong Kong. He is currently studying journalism at Northeastern University in Boston. He works to be influential in an increasingly complex world where what’s popular seems to be more important than what’s right and works to make reading photos a part of citizenship. Follow him on Instagram.